Using Mind Maps for pre and post assessment of students’ learning is a realistic and transparent form of measuring topic adoption, enjoyed by students and teachers alike. In this article, we take a look at the benefits of using Mind Maps for pre and post assessment. 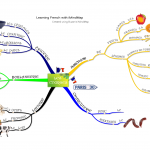 What is Mind Mapping and how does it aid learning? Mind Mapping is a visual interpretation of your thoughts and ideas, arranged around a central topic (We have a guide if you would like to know how to Mind Map). It is used in thousands of schools, universities and colleges worldwide to aid comprehension, memory, creativity and innovation. Mind Mapping is used in education as it allows students the freedom to interpret topics in their own way, making their own connections between ideas. Also, the use of images, colours and keywords ensure that your students commit the information they Mind Map to memory, ideal for assessment. What are the benefits of Mind Mapping for assessment? Mind Mapping is a great tool for assessment of students’ pre and post learning, to accurately gauge the knowledge they have absorbed. Essentially, students make a Mind Map before and after they have been taught a particular topic. Tony Buzan calls this method ‘preview and review’, and it is an effective assessment of topic adoption. Mind Maps allow your students to interpret and express ideas metaphorically, and as a method of assessment it does not rely on your students’ language levels. Therefore this gives a more accurate picture of the knowledge they have amassed. Plus it allows your students to display their contextual knowledge and requires deeper insight , as they make connections between topics, other topics and their sub-topics. The understanding measured by using Mind Mapping for assessment is transparent and realistic, based on actual knowledge learnt rather than language or written skills. More importantly, unlike traditional assessment, students actually enjoy the process! Will Mind Mapping for assessment be applicable for all of my students? Mind Mapping for pre and post assessment is suitable for a whole range of students, from visual and kinaesthetic learners to the high achievers. For visual and kinaesthetic learners, it makes it easier to express their ideas in a non-linear, colourful and image-filled way. It is particularly helpful for dyslexic students, who can find taking assessments via traditional methods frustrating and even demoralising, as this is often based solely upon language levels. However, using Mind Mapping for assessments is also stimulating for the highly achieving students, as Mind Mapping does not place a pre-defined ‘ceiling’ on how far they can take an exercise or how much knowledge they can display. How do I apply Mind Mapping to pre and post assessment? There are two ways in which you can practically apply Mind Mapping to pre and post assessments. The first is for older or more able students to try. First, introduce the topic to your students, and ask them as a pre assessment to Mind Map their initial thoughts and responses. They can take these initial ideas from anywhere: the media, other parts of the curriculum, their own interpretations etc. After the pre assessment, then teach the topic to your students, who can use their initial Mind Maps as a reference for how much their knowledge is growing. Finally, as the post assessment, ask your students to create a summative assessment Mind Map, even using their initial Mind Maps as a template. They should be able to add in much more accurate detail, plus make sophisticated connections between areas of the topic and show evidence of independent thinking (looked for in formal exam marking criteria). Once you have reviewed this post assessment of topic adoption, the students can use their summative Mind Maps as a rich source of supportive evidence. Ideal for revision or topic reviews. For the pre assessment, make this an inclusive class exercise, and create a group Mind Map so you can capture everyone’s initial ideas and opinions – this task is ideal on a whiteboard. This approach really fires up younger students’ imaginations and is a great way to include everyone. Following the pre assessment, and after you have taught your students the topic, you can discuss the class’s original ideas, and then restructure this Map to assess their knowledge. This method of assessment involves including a sample of the topic information your students have been taught in a random Mind Map structure around the central idea, then asking the students to make the correct connections between these ideas and supply their own understanding to rearrange the Map. For example, with a Map on French vocabulary, you could place different images around the Map and get your students to place these next to the correct words or phrases. By using this ‘restructured’ Mind Map, the students can participate in self-assessment to measure the accuracy and depth of the knowledge they have acquired. More able students will be comfortable with the task, less able students may require support and further instruction. iMindMap offers many tools and features which can enhance using Mind Mapping for pre and post assessment. For example, if you want to make tailored template Maps for your students, the process couldn’t be easier as you simply save the iMindMap file under Templates to re-use again and again. In the post assessment exercise, your students can drag and drop files, documents, web links and audio and video files onto their Map to further display their knowledge. For coursework purposes, students can export these assessment Maps to Word or PowerPoint format, to use as a basis for an essay or present upon. Younger students will love using iMindMap on the interactive whiteboard, and this will capture their imagination for the group task. You can also use images and icons from the large Image and Icon Libraries for the ‘restructuring the Map’ assessment – making life easy! Plus, younger students will love that they can print their assessment Maps off in a variety of ways to use as study posters. If you would like to know more about Mind Mapping for pre and post assessment, please take a look at our informative video.